I’ve come to gather that many assume gardening is merely a summer thing that one does a few months out of the year when the kids are out of school and bumblebees are a-buzzin’. 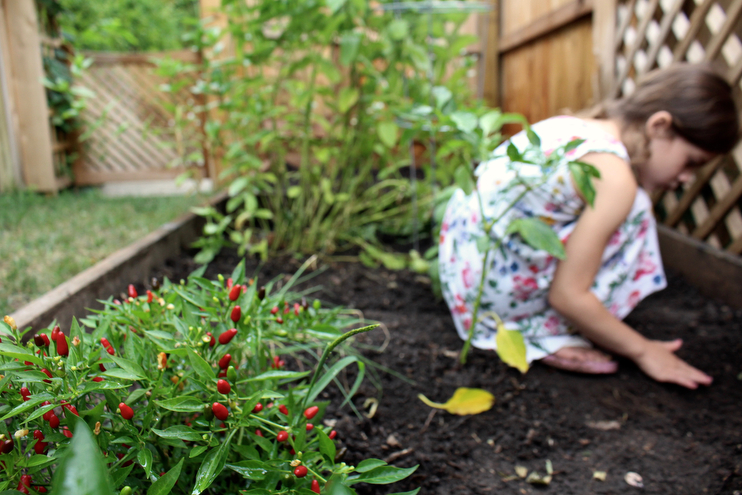 The truth is, gardening can be a year-round rhythm for you and your family. I bought into the “gardening is best in the summer” bit for the longest time until a dear friend suggested I throw some lettuce seeds in a pot mid September and see what would happen. A few weeks later with some water and sunshine and tending to and I had arugula for lunch! 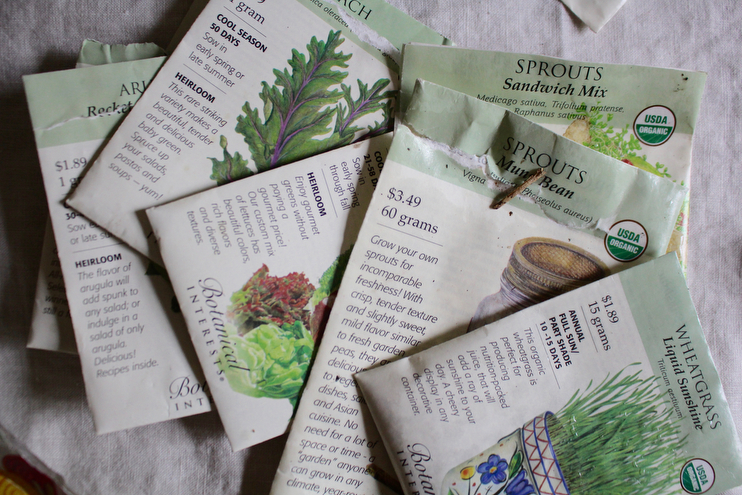 Now I take autumn gardening a little more seriously, and by seriously, I mean I throw seeds in a line rather than a scattered frenzy, and hope for the best. This year I had Stella help me and it was so much fun! You should know, I am not a skilled or serious gardener, nor do I consistently have bountiful harvests. I do however enjoy the process of putting things in the dirt and taking care of them the best I am able. Sometimes things grow, other times they do not. I love that about gardening, there is always something to learn and something that takes me by surprise. I think when you approach something you’re not very good at but enjoy with an open hand, everything you’re given throughout the process is a gift. This is how I view gardening in this season of life. Little expectation is my motto here and learning this way has taught me so much. It is, after all, that beautiful time of year in the Midwest where many are transitioning their summer gardens to autumn ones if they have not already done so. Although mostly green, you can hear the delicate leaves rustling a bit louder on the tall walnut trees as they begin their turn, and finally, we are getting a much needed break with cooler temperatures outside. I have been enjoying throwing open our windows and picking the last of our bright pink zinnias to brighten up our kitchen nook. I have also had a good time making things with the spicy vegetables that are aplenty right now. I made a batch of fresh pepper salsa this past weekend and it was so tasty! A few weeks ago our vegetables (such as our cucumbers, eggplant, some herbs, and few tomato and pepper plants) had already finished doing their job out in our little garden so I uprooted them to make space for our cooler weather vegetables like root vegetables and hearty greens. Luckily I sowed my seeds at the beginning of what was a very rainy and oddly cool week for August. It happened to be the perfect time to get most of my autumnal crop planted! Depending on where you live, you can easily continue gardening throughout the four seasons, thus reaping the many benefits of growing and harvesting your own produce year round. We currently do not have a very large garden, just three raised beds and a variety of containers, but next summer we plan to make our growing space larger so we can grow and eventually preserve more for our pantry, however you would be surprised how much we can grow in this small space. Whether you’re a skilled gardener or not, keep in mind that cooler weather gardening is simple a extension of your summer gardening with a few small changes to accommodate to the lower temps, as some vegetables thrive in the summer while others prefer the brisk air. Here’s a few things to know about getting started, with a list of vegetables that fare well in the cooler months, and some simple tips for beginners. Plan what you will grow and gather seeds. It’s a good idea to read up on you growing area and what will fare well given the changing temperature throughout the seasons. Make space by clearing out summer vegetables once harvested and add new soil along with mulch. Plant your seeds in late August or early September, depending on your region. Nurture, nurture, nurture. This part of the season is usually without rainfall so you’ll need to keep up with your watering and weeding, per usual. Use organic compost when preparing the soil for new seeds. Using organic mulch can help keep your roots safe on colder nights and if any surprise frosts happen to catch you off guard. 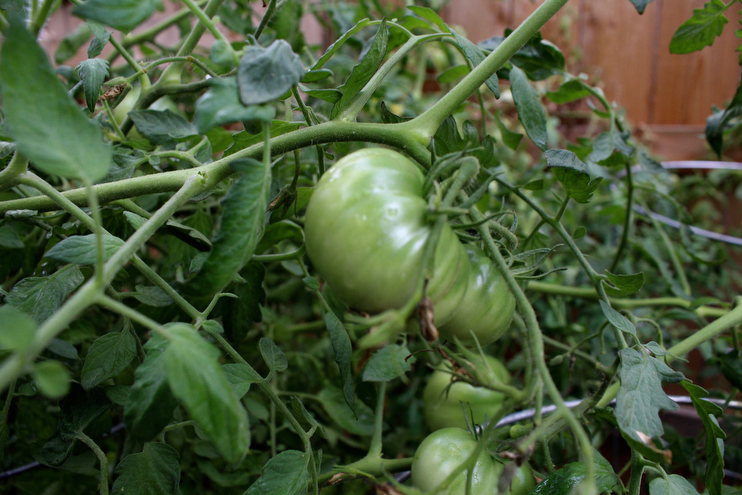 Keep pulling up finished plants and get rid of fallen fruit that attract bugs. Cut herbs to dry for autumn and winter cooking. You can build PVC pipe covers for when the temperature really drops if you want to continue growing in the winter. I will show you a simple tutorial on this once our tomato plants are all pulled up and I’ve sowed some lettuce seeds. Stake things that allow it to avoid pests when it gets soggy. I’ve been waiting for this post! THANK YOU!! I recently watched a fun & amazing documentary called “Back to Eden” (always available for free online via a quick search). It was all about organic gardening using the natural way of plants and their environment to garden with minimal work on the gardeners part, to make more robust produce with less watering, etc. Very different than any conventional gardening (organic or otherwise), but It was so amazing and inspiring! It got me all the more excited about growing things to eat, and I felt like sharing it with anyone else with the slightest interest in growing food.